Deputy Defense Minister calls for more bulletproof buses in Israel, says Europe must start fighting terrorism seriously. Deputy Defense Minister Rabbi Eli Ben-Dahan (Jewish Home) called for upgrading public buses to make them bulletproof after a shooting attack on a bus in the Binyamin region Monday night. "Unfortunately, we have seen yet another terrorist attack by Arabs in Judea and Samaria." Rabbi Ben-Dahan told Arutz Sheva. "They will not stop trying to harm Jews. Fortunately the bus was bulletproof and no Jews were harmed." Rabbi Ben-Dahan said that in light of the attack: "I am determined to get the budget passed quickly so that we will be able to protect the buses [by making them bulletproof] early next year." He also addressed the terrorist attack in Berlin Monday night, which left 12 people dead and nearly 50 injured, including an Israeli citizen. "It is time that the Europeans realized that they have to fight terror and not just contain it. The Europeans tried to embrace terror suspects instead of fighting them, and today we see many terrorist incidents in Europe [as a result]. I call on the Europeans to join with the State of Israel in fighting terrorism determinedly and not allowing it to raise its head [anywhere]." 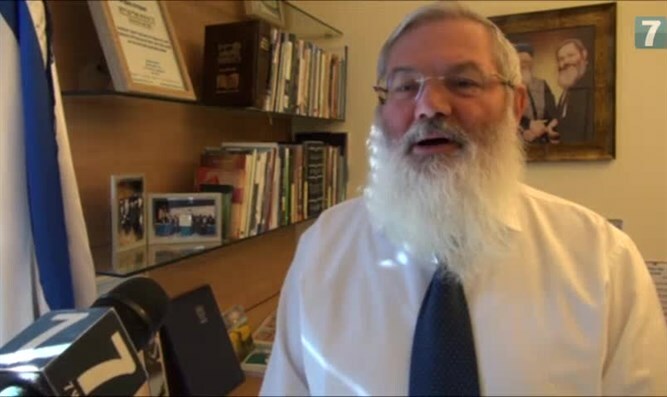 Rabbi Ben-Dahan supports efforts to have MK Basel Ghattas expelled from the Knesset in light of accusations that he smuggled mobile phones to terrorists in Israeli prisons. According to him, an MK "who supports terrorism has no place in the Knesset."